Sequel to be based on the 2011 film remake of videogame-themed film? Disney Interactive Studios is rumoured to be developing a brand new Tron game, said to be released to tie-in with the new Tron movie in 2011. If true, it is certainly going to make a lot of sci-fi geeks and gamers 'of a certain age' very happy indeed. TechRadar has contacted Disney UK today for further information and (we hope) confirmation on the rumour. 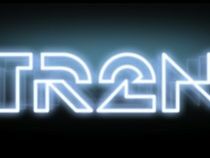 Disney releases the sequel to 1982's videogame-themed Tron, currently under the working title of Tr2n, in 2011. The rumours that a game is also in development emerged from reports in Hollywood trade paper Variety, backed up by reports over on The Cut Scene blog ramping up belief in the (not really majorly surprising) rumour that a Tr2n game is in development. Disney Interactive Studios recently laid off 30 staff at Propaganda Games (the creators of last year's Turok) and have merged two of their six internal developers, Fall Line and Avalanche, to focus on games based on Disney animated films. Stay tuned for official confirmation (or denial) from Disney Interactive Studios as and when we get it.